Extreme low-calorie diets, such as the 600 calorie diet studied by Newcastle University have been hailed as extremely effective in helping people with diabetes to control their blood glucose levels. In some instances, reports of temporary diabetes cures have been reported from following an extreme low-calorie diet for a short period. Is this the 600 calorie diet that was in the news? A Newcastle University study, funded by Diabetes UK, examined 11 people with diabetes who slashed their food intake to 600 calories per day for 8 weeks. Three months later, 7 of the 11 people studied were free of diabetes. As with other very low calorie diets, you should consult a doctor before undertaking such a diet. What was involved in the diet used in the study? The other 200 calories came from non-starchy vegetables. Note: The diet is referred to as the 600 calorie diet (rather than the 800 calorie diet) due to the meal replacement aspect of the diet totalling 600 calories. How does an extreme low-calorie diet affect the body? An extreme low-calorie diet (usually based on diet drinks and non-starchy vegetables) reportedly prompts the body to expel fat clogging the pancreas, helping people with type 2 diabetes to ‘wake up’ their insulin producing cells. The Newcastle Diet is a very low calorie diet which was used as part of a clinical study by Newcastle University. Very low calorie diets should only be started with the approval and support from your doctor. 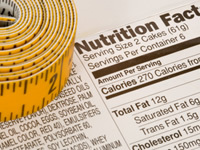 The diet gained a lot of media attention when the results were published in June 2011. The study, funded by charity Diabetes UK involved 11 participants with type 2 diabetes who were medically supervised throughout. 3 months after the study was completed, 7 of the participants were deemed, by the researchers, as being free from diabetes. The diet was based upon 3 sachets of Optifast meal replacement shakes a day - accounting for 600 calories per day. In addition, participants ate 250g of non-starchy vegetables a day, adding a further 200 calories per day. Participants drank water or calorie-free beverages. People in the study were on the diet for 8 weeks. After the diet, participants returned to a normal diet taking on board advice on healthy eating and portion size. The researchers believe the diet’s success is linked with loss of fatty tissue from around the liver and pancreas. The study’s participants were given MRI scans which showed that the level of fat from around these organs had decreased from elevated to normal levels over the course of the study. Being a very low calorie diet, it is important to gain approval and supervision from your doctor before starting the diet. Note that some people may be advised by their doctor against going onto the diet on grounds of health. So low-calorie diets bring blood glucose levels down? In the aforementioned study, people with diabetes who did not get the special diet were also assessed. After one week, those on the extreme low-calorie diet had pre-breakfast blood glucose levels close to normal. This was in line with decreasing fat levels in the pancreas. So the study cured people of type 2 diabetes? The study showed marked improvements in blood sugar levels to the extent where the participants appeared to be cured. However, as is the case with pre-diabetes, those participants who benefitted the most from the study will still need to be disciplined with their diet and exercise to prevent or delay the return of diabetes symptoms. Were there any side effects of the diet? People involved in the study were advised to keep up their fluid intake and wrap up to keep warm. Does Diabetes UK agree with the findings of the extreme low-calorie diabetes diet study? The director of research at Diabetes UK, Iain Frame, claimed that people should not embark on this type of extreme diet without the help and approval of a dietitian or doctor. He was reported in the news as saying: "We welcome the results of this research because it shows that type 2 diabetes can be reversed, on a par with successful surgery without the side effects. However, this diet is not an easy fix and Diabetes UK strongly recommends that such a drastic diet should only be undertaken under medical supervision.